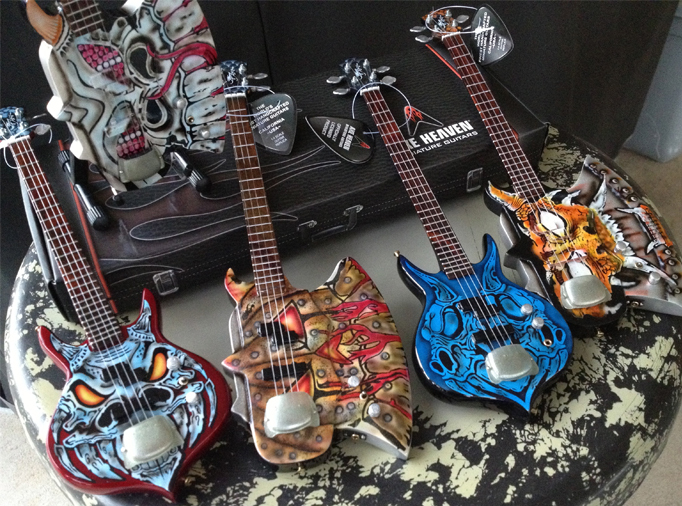 Gentry Riley’s Custom Airbrushed AXE HEAVEN Mini AXES! 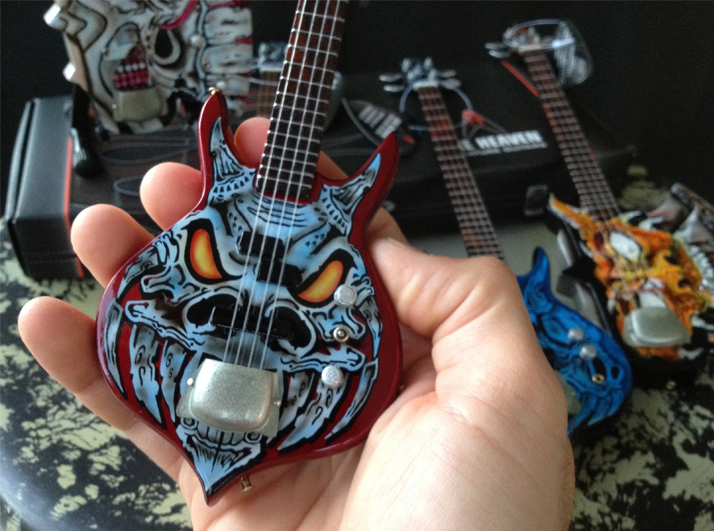 Gentry Riley’s a custom airbrush artist that has worked with many famous rocks stars over the years creating his vision of custom painted guitars. He’s been a professional airbrush artist for over 27 years. He invented two airbrush improvements and one complete airbrush; has 2 US PATENTS on airbrushes to date. 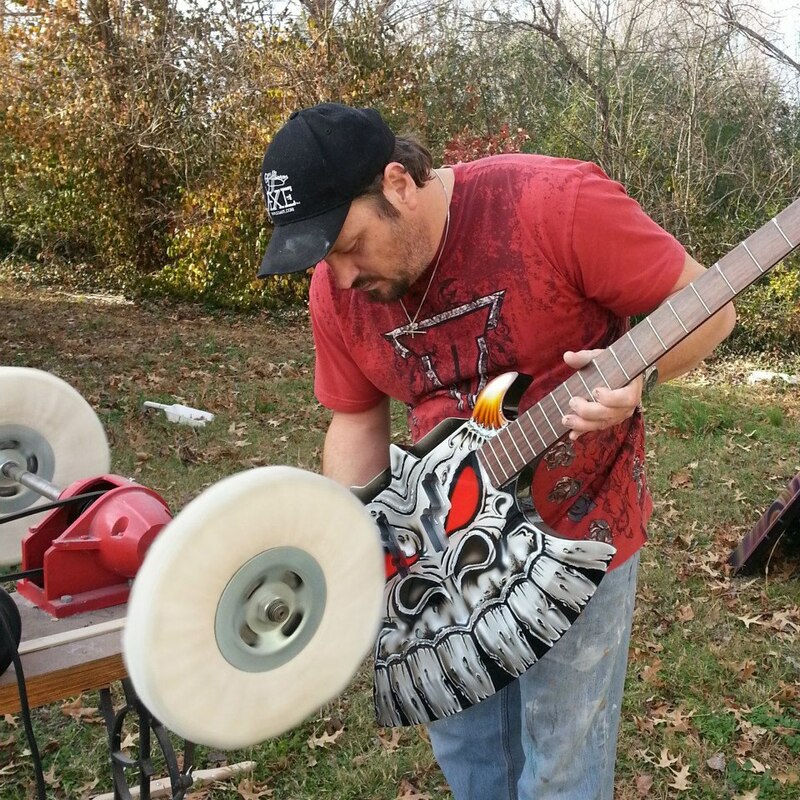 Some of his work includes todays biggest rockstars custom guitars. 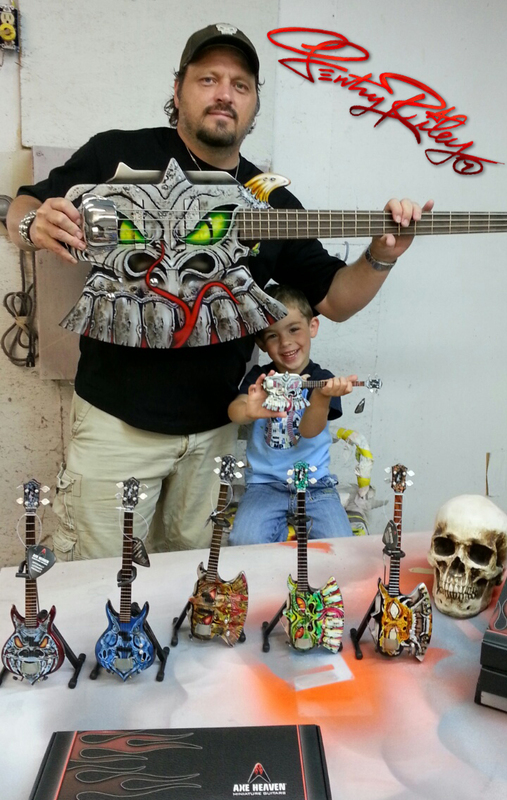 Gentry contacted us to create some miniatures of his custom axe’s as gifts for him and his son. 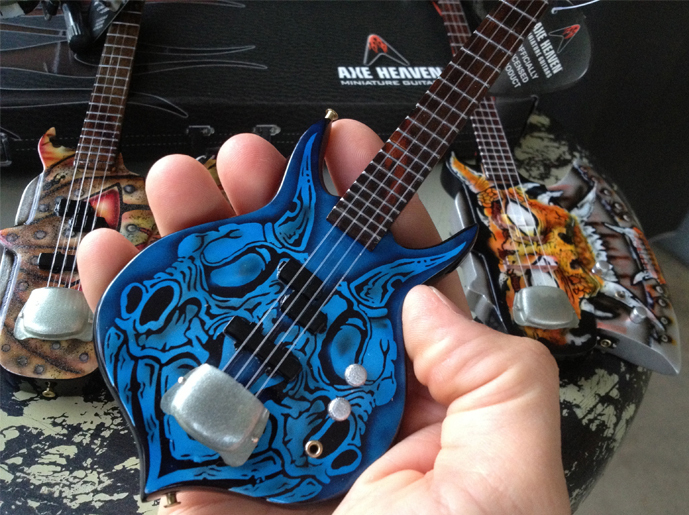 Our AXE HEAVEN artists did a trick job and hand airbrushed each and every miniature just like his real axe’s. 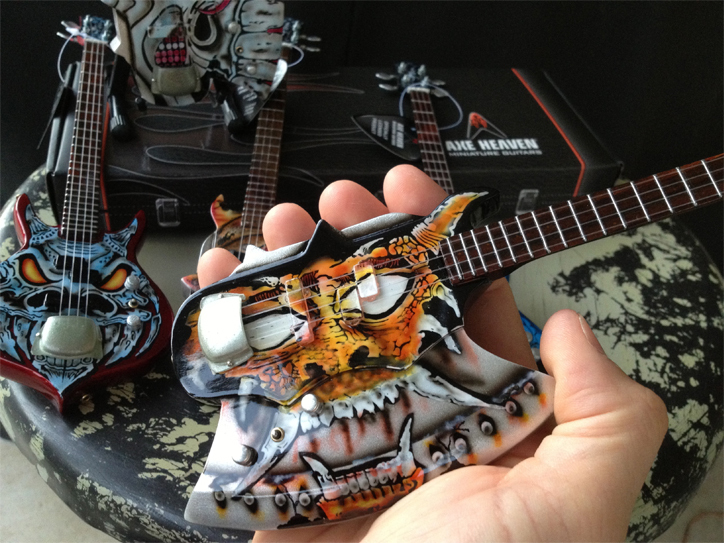 He was blown away by the detail we captured in each 1:4 scale model guitar. 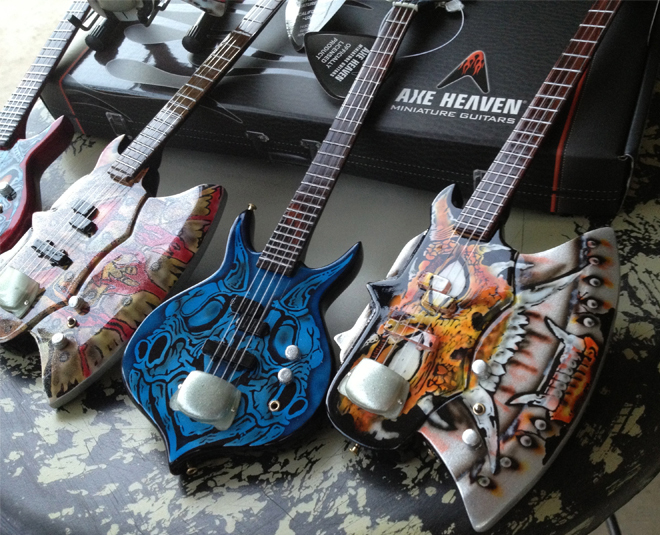 AXE HEAVEN has worked with some of the world’s largest rockstars, artists, guitar companies and beyond. We have without questions some of the most unique and licensed merchandise in the music industry. We work individually with each client to create and develop a product that will far exceed their exspectations. Email us at info@axeheaven.com if you have a creative idea or project. 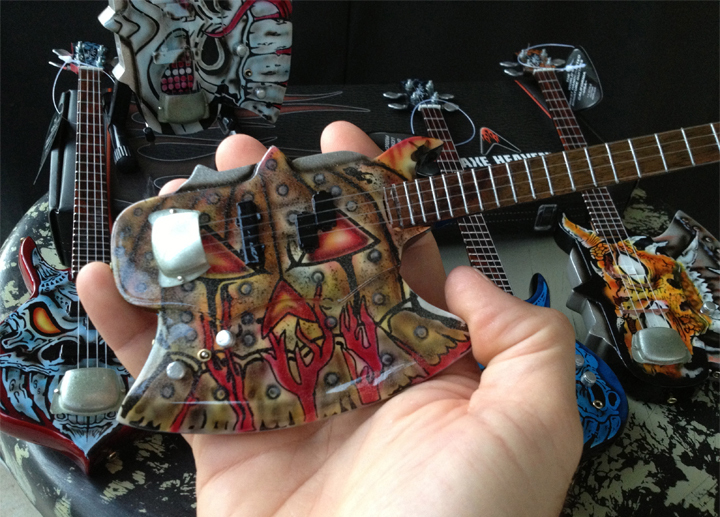 We are working on many new mini guitars and even a few new products. ROCK YOU PASSION!